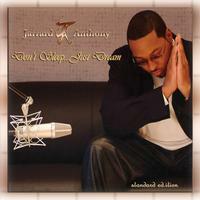 Don't Sleep...Just Dream is now exclusively available for digital downloads via CDBABY digital download partners. S.ynergistic E.nergy X.change...NOW AVAILABLE ON CD BABY!! Jarrard Anthony has been called the "Mr. Independent" of R&B/Urban music. JA has created an international presence, selling thousand's of cd's at live shows and online, with tireless self promotion and stunning abilities as a songwriter, singer, and producer, and performer on his UK released EP "The Dream" and his newest US released LP "Don't Sleep...Just Dream". JA's signature sound is as seductive as it is refreshing. With soulful songs that inspire and a style that appeals, JA is poised to become one of the top artist/producer/writers of this generation. Jarrard Anthony has been called the "Mr. Independent" of R&B/Urban music. He has been able to almost single handedly create an international presence, selling thousand’s of cd’s at live shows and online, with tireless self promotion and stunning abilities as a songwriter, singer, and producer, and performer on his UK released EP "The Dream" and his newest US released LP "Don't Sleep...Just Dream". JA's signature sound is as seductive as it is refreshing. With soulful songs that inspire and a style that appeals, JA is poised to become one of the top artist/producer/writers of this generation. At 19, Jarrard released his first independent commercial recording. A single, titled "So-D-vine”. This song went on to be the second most requested song in the Central Virginia, USA area at its peak. Following the release of the single, Jarrard took time to record a debut LP titled "The Dream" for the indie-label, Thermite Records. "The Dream" was released in the UK, under theThermite /Stonegroove/ Recordings imprint, as an EP and gained critical acclaim and press as the title track held the #2 radio spot in the country for several weeks. Jarrard was even offered a major recording contract in the US, but declined due to contractual stipulations that would have been creatively limiting. After the buzz generated by the Thermite/Stonegroove/ EP, Jarrard took two years to create what he feels is just the first true chapter in the book of his career. With a production team including Nate Smith (Micheal Jackson, Monifah), Bob Baldwin (Jazz keyboard legend), Nolan Doran and Joe McMinn (O-town, Olivia)..."Don't Sleep...Just Dream" became a mission to make music not just for the ears, but for the heart and soul. "Everything up until now was the preparation, Now is time to start the journey"
Today, with influences ranging from Stevie Wonder to Seal, Jarrard continues to establish himself as a show stopping performer, prolific songwriter, and a gentleman above all else. He has written songs for several major label acts including Howard Hewett, Bobby Lyle (Three Keys.WEA), Tonia Woods (Renata/Sony), amongst others. He's done studio work with Levi Little (former lead singer of Blackstreet), CJ Lewis (International Superstar), Jaared (Three Keys saxophonist), producer Joshua Thompson's (O-town, Joe, Case, Babyface) Pop/R&B group Bling Dynasty, and top pop music producer Desmond Child (Mariah Carey, Aerosmith, Ricky Martin. Most recently, He concluded a tour of the UK highlighted with a performance at "the legendary" Southport Weekender, the only indie soul artist on the event, which also featured performances by Kindred, The Family Soul, and Donnie, and Myron. He has performed live at the Apollo Theater in Harlem, NY, USA, national television programs such as the Dish Networks “8101 w/ Michele Wright”, and US radio syndicated, The Doug Banks Morning Show Jam Session along with LL Cool J and Monica. He has also performed with and opened for The O-Jays, Silk, Anthony Hamilton, Cam'ron, Amerie, Bob Baldwin, Pieces of a Dream, Roy Ayers and many others. Jarrard continues to tour and perform throughout the US. "I write about the things I see in life, as long as I live a life I'll have a song"
"Don't Sleep...Just Dream" is a testament to Jarrard's versatility and passion for his craft. Life is the path, Love is the destination. This is the soundtrack to your journey. *2003 Urban Independent Music Award Nominee-R&B Artist of the Year. Excellent! And Won't be denied! Handle your business partner..This is tight! Don't sleep ... just BUY BUY BUY!! This guy is going to be HUGE.... an album of many styles and flavas. I recommend this to anyone. This CD is Off Da Chain!!!! A definite must in your R & B and Neo-Soul collection. I like this. Your voice and style is beautiful! Keep up the singin' and keep puttin' out Cd's! Your onto something big. I stumbled on your tracks, They are really deep and your voice is HEAVY. When you coming to do a gig in the UK? As a tastemaker in Birmingham, AL, I've referred several people to the artist and this site!!! I look very forward to hearing more music from you in the future. ja....your cd is bangin. you don't need the majors to do what your doing...i was very impressed with the lyrics and music. also, your voice overtones are on point. i wanna know when you're gonna be in ny...cause u definitely have what it takes..the complete package. mad kudos to this project and God bless u and yours/keep on prospering, bro!